What does RFX mean to us? LTG Charles D Luckey addresses concerns about the requirements for Ready Force X.
July 30, 2018 - The 259th Expeditionary Military Intelligence Brigade, Military Intelligence Readiness Command, located out of Tumwater, Washington conducts a multicomponent exercise known as Always Engaged 18, as part of their annual training at Joint Base Lewis-McChord, Washington, July 9-23. July 24, 2018 - A slightly overgrown open field, surrounded on three sides by towering evergreen trees, sits beneath a nearly cloudless sky. A mildly cool breeze bends the grass to its will, leading to the majestic presence of the snow-capped Mount Rainier that looms over the small, mobile kitchen trailer at the edge of the training area. July 23, 2018 - Spc. Monique Easy, a Saint Catherine, Jamaica, native and tactical power generator specialist with the 321st Expeditionary Military Intelligence Battalion, is a proud team player within America’s Army Reserve. July 18, 2018 - Moving intelligence from the unit level down to Soldiers on the battlefield requires sophisticated systems. Those systems, usually, do not come as tough as the Soldiers operating them. Fortunately, the 373rd Expeditionary Military Intelligence Battalion brings expert technicians to the field, ready to maintain a steady flow of information. July 17, 2018 - Capt. 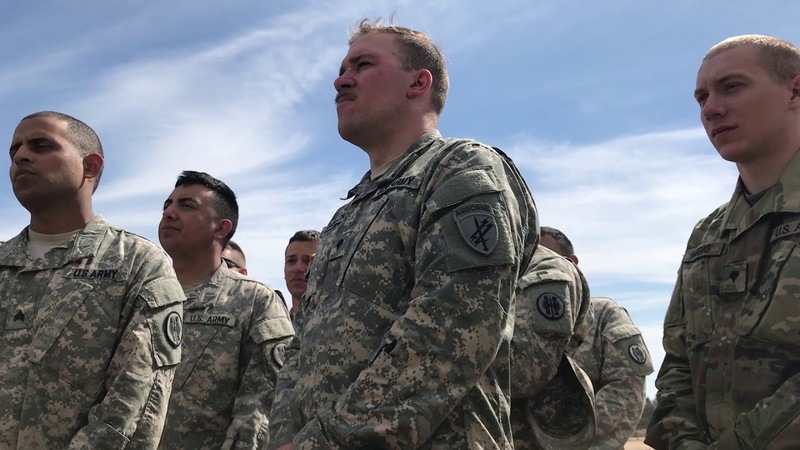 Jonathan Klein, public affairs officer for the 259th Expeditionary Military Intelligence Brigade, based in Tumwater, Washington, is excited to share the experiences of Army Reserve Soldiers participating in Always Engaged. May 9, 2018 - Two nationally recognized credentials are available free of charge to Soldiers holding select quartermaster military occupational specialties. The Certified Logistics Associate and Certified Logistics Technician documents can be earned by enlisted 92A automated logistical specialists and 92Y unit supply specialists, as well as warrant officer 920A supply systems technicians and 920B property accounting technicians. April 27, 2018 - Seven U.S. Army Reserve commands tested their Soldiers in a Best Warrior Competition at Fort Knox, Kentucky, April 9-13. Sept. 21, 2016 - The 2016 Paralympics are in full swing in Rio De Janeiro, Brazil, and hopefuls from all over the world are turning out to represent their country.